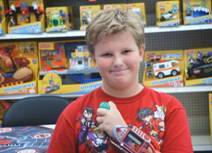 On Saturday, November 13th, the Finale of the Bakugan Battle League was held at participating Toys "R" Us stores across the United States and Canada. 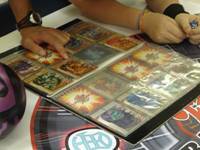 Each of the five Bakugan Battle League dates over the course of the past several months was a sensation, making the BBL one of the most memorable brawling events to ever take place. At each event, brawlers participated in one-on-one matches and fun activities in order to complete their BBL Handbook. 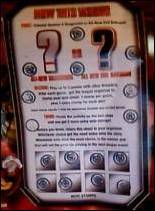 Completing each activity won them a vote towards the next chapter in a unique Bakugan story created exclusively for the Battle League. Additionally, each story brought about a new Ability card given out to brawlers who attended their local Toys “R” Us event. With more battlefield experience and stories to tell than ever before, brawlers voted for the BBL Finale Chapter which has revealed a never-seen Bakugan! The Finale decision brought upon by the tallying of votes across the USA and Canada is… “All-New Season 4 Dragonoid”! Visit BakuganBattleLeague.com to view the now revealed Season 4 Bakugan. - BrawlerRob brings his coverage of York, PA with amazing video footage and live interviews of the one and only Bakugan Game Designer – Luke Peterschmidt! Going full out, Brawler Rob features a high quality YouTube video of his local BBL Finale event complete with interviews of Master Luke and several passionate brawlers. While gathering event content, Disco volunteered to be a Tournament Organizer in which she provided tournament support and assisted with handing out prize packs. She had the honor of giving a prize pack to the local Warner Robins BBL Champion, Ryan Osborne (in the picture below, on the right next to his brother Justin). 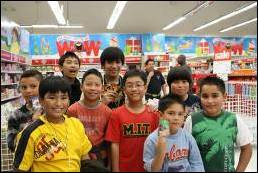 Bakugan and Spin Master would like to thank every brawler who journeyed out to their local Toys “R” Us to participate in a Bakugan Battle League! We also appreciate the BBL Tournament Officials who put in their hard work and effort into creating such a memorable event for brawlers all over the USA and Canada. 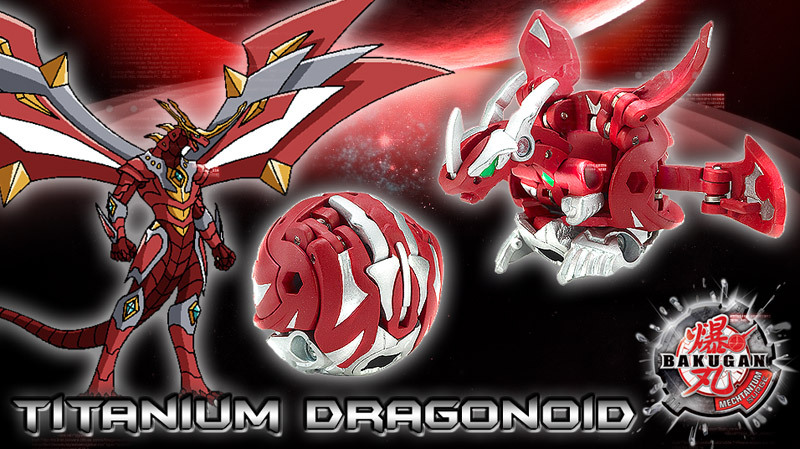 Be sure to check out BakuganBattleLeague.com for the BBL Finale vote reveal of an all-new Season 4 Dragonoid Bakugan! 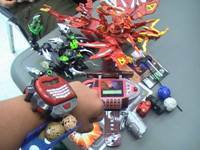 On Saturday, October 9th, Day 4 of the Bakugan Battle League continued on at participating Toys "R" Us stores across the United States. Thank you to everyone who came out and brawled with us. Your brawls and votes have been cast for the next exciting chapter of the BBL story. The winning exclusive Ability Card is… "Destroy Evil!" We'd like to give a special shout out to two helpful brawlers at Toys "R" Us #8334 in Lynchburg, VA where League Master Melissa would like to recognize these two outstanding brawlers for going beyond the call of brawler duty and helping some of the other, much younger attendees. Thanks to these two awesome brawlers! 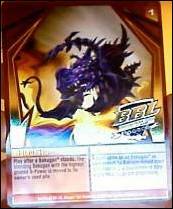 - BakuganFreedom reports for duty and covers Hayward, CA complete with video of his exciting double brawl and his new Bakugan Dragonoid Colossus. While at this event, BakuganFreedom added the exclusive Dragonoid Colossus to his arsenal and then entered into an intense Double Battle, where he and fellow brawlers duked it out for the cameras. Check out the excitement! - BBL Minion Forcer Eversoris covers his awesome event in Glendale, AZ and scores some exciting interviews! Eversoris reports in with an amazing shot of two Aranauts in battle, and interviews with a supportive Baku-Dad and a very avid Bakugan collector, Trainmon. - Welcoming back another Minion Force Veteran, Disco reports in from Warner Robins, GA where brawlers converged to battle it out on the field AND do some massive trading. 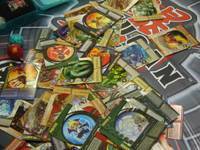 Enthusiasts brought their vast collections to brawl, trade and show off their most coveted Bakugan. We'd also like to thank Canadian brawlers for joining us for their 2nd event day held on Saturday, October 16th and for making this event day an exciting one to remember. We can't wait to see you at the Finale on Saturday, November 13th! For more information on the BBL in Canada, check out the Canada section on www.bakuganbattleleague.com. 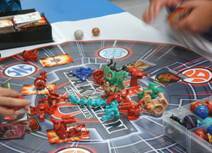 The Bakugan Battle League Showdown Finale at your local Toys "R" Us is the final event day for the Bakugan Battle League on Saturday, November 13th. We hope you'll come out with your Bakugan and your best brawling strategies. Find out the results of the BBL League Showdown in the next and final BBL Blog! Enlist in the Bakugan Battle League Minion Force and download the exclusive membership kit that includes a special badge, certificate, capture guidelines, and images for use with your content! For more information check out the BBL Minion Force Announcement in the official forums. - Danjay from Memphis, TN reports in with tales of helpful brawlers! 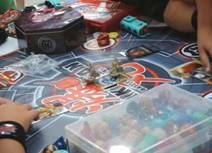 During his local BBL event, several brawlers showed up with a Bakugan team that lacked a couple pieces. 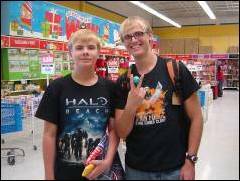 Veteran brawlers happily provided Bakugan from their own collection so they could engage in the Battle League events. It’s that sort of camaraderie that keeps the Bakugan community together! - DanthePyrusKing gathers awesome live footage from his local BBL Event #3 day. He highlights prized collections, coverage of a battle in progress, and captures brawlers doing what they do best... brawling! 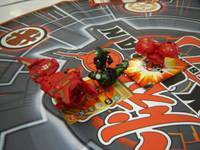 The Bakugan Battle League has been such a huge success that we’ve brought the BBL to Canada! Canada had their first BBL event on Saturday, September 25th and will have their next event day on Saturday, October 16th. For more information on the BBL in Canada, check out the Canada section on www.bakuganbattleleague.com. We hope to see you at Day 4 of the BBL on Saturday, October 9th! Be sure to check out the next BBL Blog for Day 4 coverage of the BBL event. Bring your Bakugan to the next event and battle for the following chapter of the story. For more coverage from other Minion Force members, check out the Bakugan Battle League section at the official My.Bakugan.com community. 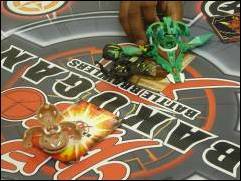 The 2nd Day of the Bakugan Battle League was so intense! 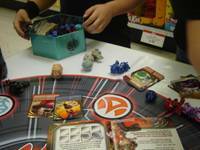 The latest Bakugan Battle League event was held on Saturday, August 28th at participating Toys "R" Us stores across the United States where brawlers gathered to battle and vote for the next exciting chapter in the Battle League story. The votes from each BBL event location are in... "Direct Attack" wins! So, Dan and Shun are going to battle the two guards to make their way to Marucho. What an exciting turn of events! Stay tuned for next month's BBL Blog covering Day 3 of the BBL event. Bring your Bakugan to the next event and battle for the following chapter of the story. For more coverage from other Minion Force members, check out the Bakugan Battle League section at the official My.Bakugan.com community. For more information on the Bakugan Battle League check out the official site at www.bakuganbattleleague.com.